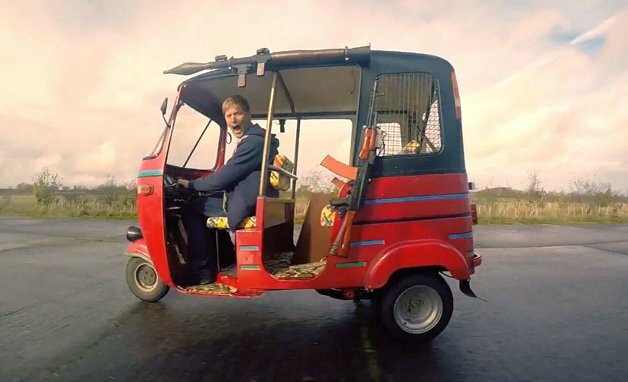 Guns and flamethrowers on a 100 PS three-wheeled TukTuk is pure madness. Sipi is a fairy who hangs above us like a huge, ever-smiling, men’s fragrance-smelling umbrella. He can be called anytime, anywhere to lend a helping hand, and he’ll be there in an hour with one of his Transits for sure. A dangerously maniac car collector (the street in front of his house is full of his vehicles), a radio-control and model car freak, Sipos is a Swiss knife made of human flesh. Totalcar is just one job amongst his zillion occupations, but he endears it the most. Lives with a girlfriend and two dogs. Blinding someone with a laser beam? Would you use a Ferrari as a daily? 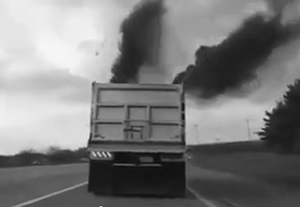 Dump trucks are big and slow, and they give off smoke. This one is big and it smokes, but slow it sure is not.